This release marks the first in the new series of annual book publications that has evolved from the journal Neuro-Disability and Psychotherapy: A forum for the practice and development of psychological therapies for neurological conditions. These books will gather together new articles under a particular sub-theme related to the practice of neuropsychotherapy. The first issue is a republication of the journal's special double issue on the application of Eastern-influenced psychotherapies for people with neurological conditions, along with two additional related articles that were subsequently published by the journal. Collectively, this publication showcases diverse and contemporary practice in neuropsychotherapy. 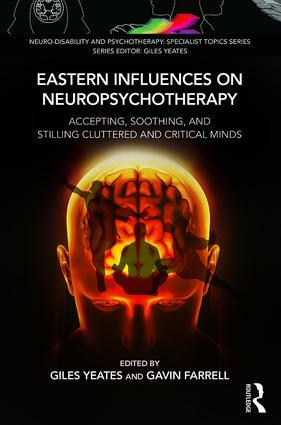 These all share an influence of Eastern religious and philosophical practices, used to address the ever-present need for innovative adaptation to talking therapies in the face of heterogeneous and complex emotional and cognitive difficulties for those with acquired and progressive neurological conditions. Acceptance and Commitment Therapy for the management of chronic neuropathic pain in Multiple Sclerosis: A case study. Neil Carrigan & Leon Dysch from NDP 3(2). Flow State Experiences as a Biopsychosocial Guide for Tai Ji Intervention and Research in Neuro-Rehabilitation (Giles Yeates) from NDP 3(1).